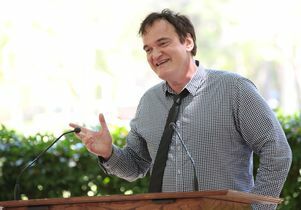 Academy Award-winning writer/director Quentin Tarantino speaks at a UCLA Theater, Film and Television event, the only entertainment design showcase on the West Coast that features the work of graduating students. 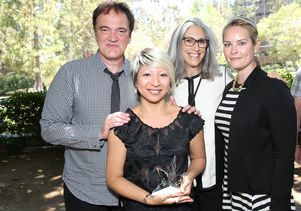 Two-time Academy Award winner Quentin Tarantino gave the keynote speech at the UCLA School of Theater, Film and Television’s 14th Annual Design Showcase West (DSW) Saturday. 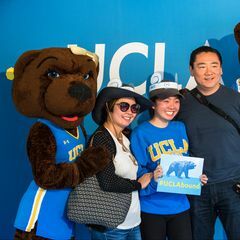 The showcase, created by UCLA TFT, is the only entertainment design showcase on the West Coast featuring the work of students graduating from the nation’s top university design programs. Exhibits ranged from costume design to scenic, sound, lighting and production design. UCLA costume design graduate student Kumie Asai holds the 2016 Swarovski Shooting Star Award. 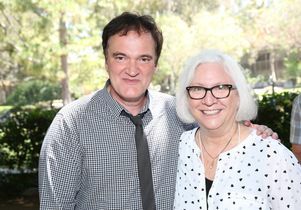 With her are Quentin Tarantino, Deborah Landis and Elizabeth Murphy. 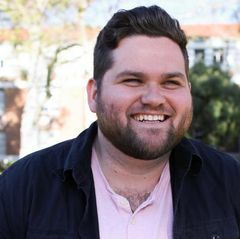 Studio executives, film and television producers, theater artistic directors and professional designers attended the showcase to meet the industry’s fresh rising stars. 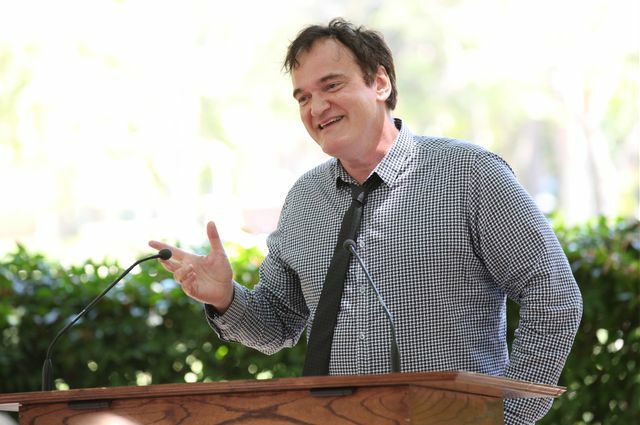 "It's not your job to create your vision; it's your job to have a vision," Tarantino told graduating students at an invitation-only event that was part of the showcase. 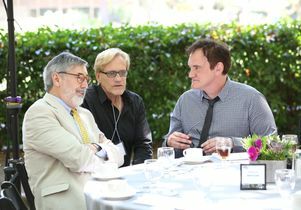 Tarantino has had such cult hits as "Jackie Brown," "Kill Bill," "Pulp Fiction," "Reservoir Dogs" and "Django Unchanged," which became the highest-grossing film, exceeding $425 million at the worldwide box office. As part of showcase, the UCLA TFT David C. Copley Center for Costume Design has established a unique partnership with Swarovski, the world’s leading producer of precision-cut crystal, to confer its Swarovski Shooting Star Award upon a M.F.A. costume design student who has shown exemplary strides in his/her work. Second-year UCLA TFT graduate student Kumie Asai received this year's Swarovski Shooting Star Award.